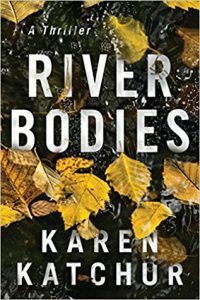 K just read River Bodies, in the quest for getting back into the school year and the habits of reading. It’s a thriller with a lot of juicy parts: a motorcycle club and their drug running, a woman escaping her cheating boyfriend, and a father on his sick bed. The book solves two gruesome murders 20 years apart in a small town, and it was an enjoyable and quick read. This entry was posted in What We're Reading by Kelsey Hedrick. Bookmark the permalink.